The Coral Welsh Grand National is a Grade 3 National Hunt steeplechase held at Chepstow, run over a distance of about 3 miles and 5½ furlongs with as many as twenty-two fences to be jumped. It is a handicap race, scheduled to take place on the 27th December, although it has been postponed to January many times in recent years due to a waterlogged track - including last year. The race was first run in 1895, and it originally took place at Ely Racecourse in Cardiff. It remained at this venue until the closure of the course in 1939. It was moved to its present venue in 1949. It has been sponsored by bookmakers Coral from 1973 and is now the longest running sponsorship in jump racing. Over the years, the class of runners has improved further making it an informative guide to future races such as the Grand National and the Cheltenham Gold Cup in the future. Among the more notable winners were Burrough Hill Lad in 1983, who went on to land the Cheltenham Gold Cup less than three months later. In the late 80's and early 90's, the race was dominated by Martin Pipe - with Bonanza Boy achieving consecutive successes in 1988 and 1989, and also Carvill's Hill becoming one of the easiest winners in the history of the race in 1991. More recent winners of both the Welsh and the Aintree Grand National are Bindaree and Silver Birch. The 2010 winner, Synchronised, went on to win the 2012 Cheltenham Gold Cup. 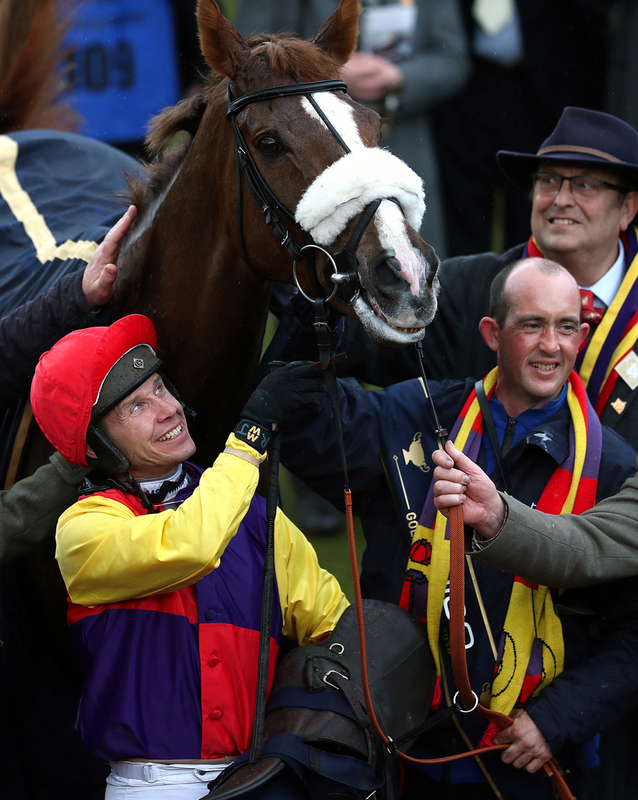 The 2016 winner Native River, ridden by champion jockey Richard Johnson, went on to land the 2018 Cheltenham Gold Cup fifteen months later. Let's look at some common trends. Coming into the Welsh Grand National, all fifteen winners of this race in the last fifteen years had won over at least 3m before - over fences. Ten of those had in fact won two or three contests over three miles over fences. Thirteen of the last fifteen winners of this contest had placed in the top four of their most recent race, with six of those actually winning. Eight of the last fifteen winners of the Welsh highlight had won over fences before at Chepstow, with three less actually running in the Welsh National before. Four of the last fifteen winners ran at Chepstow most recently, so will be aware of the hefty long run-in up the Chepstow straight. Like any handicap, weight is off the essence, and all bar three winners carried 11stone or less. All bar one were aged nine or younger, with just two winning favourites since 2003. Six favourites of the last fifteen renewals finished unplaced, leaving the average winning SP in the last 15 years at 10/1. Nine of the last fifteen winners have been Irish bred, with four less being bred from France. Paul Nicholls and Jonjo O'Neill have both had two winners since 2003. Last year's winning jockey James Bowen produced one of the rides of 2018, when he won aboard Raz Da Maree at 16/1.